A Standard Variable Rate is a type of mortgage interest rate that you are most likely to go onto after finishing an introductory fixed, tracker or discounted deal. Some lenders will also let you take out a mortgage on their Standard Variable Rate. 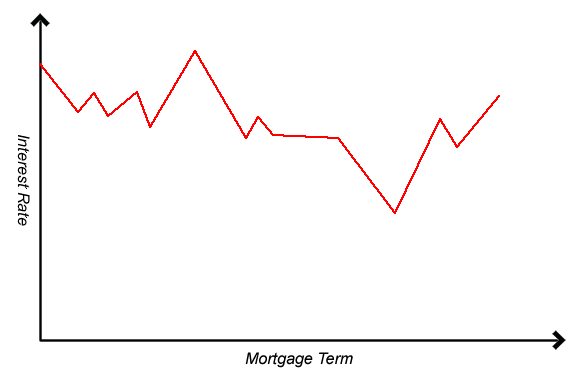 How does a Standard Variable Rate work? A Standard Variable Rate is (rather obviously) a type of variable rate – this means your payments can go up or down according to changes in interest rates. Unlike a tracker, a Standard Variable Rate (or SVR) does not track above the Bank of England Base Rate at a set percentage. Your mortgage lender may also increase or decrease their Standard Variable Rate at any time – not only after Base Rate changes. When you're on a Standard Variable Rate mortgage you won't normally have to pay an Early Repayment Charge if you want to pay off your mortgage sooner or remortgage to a new deal. However, SVRs can be quite expensive – certainly more so than the best tracker rate mortgages available. They also don't give you the payment security of a fixed rate, as the amount you pay can go up or down.